We are now beginning a new series of audios on anarchism in Northern Europe. 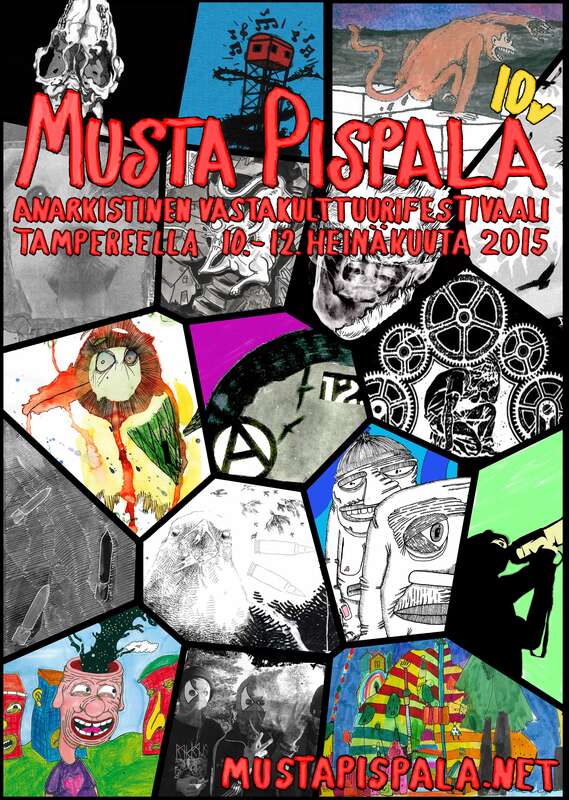 For the start we had the opportunity of making a radio show on the anarchist counterculture festival, Musta Pispala, that was organized in Pispala, Tampere, Finland, on the second weekend of July 2015. Musta Pispala was organized for the first time ten years ago and it’s idea is to bring local activist and people from all over the world together to learn and share anarchist thoughts and practices and to have good time in the beautiful neighbourhood of Pispala. Some more interviews with anarchist organizations and anarchist projects will follow soon as part of our new series on anarchism and social struggles in Northern Europe. This is part 1 (on the Musta Pispala festival in Finland).